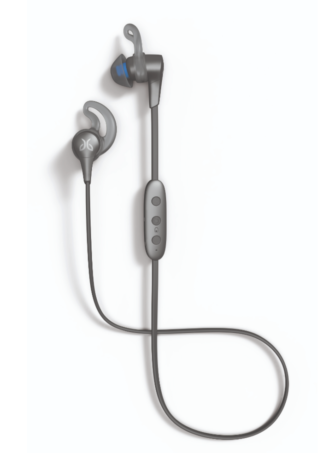 The X4 should look familiar to anybody who's seen Jaybird's previous offerings. They've got the same basic design: two buds connected by a cable that goes behind the wearer's neck, with audio controls under the right bud and Jaybird's signature "wings" to hold the headphones in place. Unlike previous iterations, though, whose wings had a sort of honeycomb structure, these wings have an open design that should be easier to clean. Jaybird promises the same eight-hour battery life the X3 offered. Unfortunately for USB-C fans, the X4 earbuds still charge via a proprietary clip. Left: Storm Metallic/Glacier. Right: Alpha Metallic/Jade. Like other Jaybird earbuds before them, the sound of the X4 earbuds can be customized through the Jaybird MySound app. The new buds are also IPX7 rated, meaning they can survive a 30-minute dip in meter-deep water (you probably still shouldn't swim in them, though). There'll be three colorways available: "Black Metallic/Flash," "Alpha Metallic/Jade," and "Storm Metallic/Glacier." The former two will be available everywhere you'd expect to find wireless earbuds; the latter will only be available at Best Buy and through Jaybird's website. PARK CITY, Utah — Aug. 30, 2018 — Jaybird, a leader in sport headphones for runners, announced today Jaybird X4 Wireless Sport Headphones - the next evolution of the awardwinning X-series designed for the all-around runner and outdoor athlete. Not only sweat proof but now also waterproof with a more comfortable fit, custom sound and eight hours of battery life, these headphones will have you covered no matter where adventure takes you - from mountain trails to city streets. "From trail runs and mountain bike rides to summit scrambles and deep powder days, our passion for the outdoors drives our innovation," said Jamie Parker, CEO of Jaybird. "The new Jaybird X4 embodies that spirit of versatility - it's comfortable, rugged and fully waterproof to tackle any run, ride or trail in any condition." With its rugged build, X4 is designed for people who are on the move: runners, bikers, hikers and anyone in between. In addition to being sweatproof, the IPX7 waterproof rating means that X4 can handle any inclement weather you encounter: rain, snow or even accidental submersion down to one meter for up to 30 minutes. With eight hours of playtime per charge, X4 can crank out tunes during your longest run or workout. To ensure you can quickly power up and get on the trail, ten minutes of charging will give you one hour of play. With the Jaybird app, you can customize Jaybird’s premium sound so you can hear your music, your way. The ultra slim and light weight controller allows for simplified control so you can stay focused on your surroundings without distraction. With the omnidirectional mic, your voice will be heard clearly in any environment allowing you to manage calls and voice assistants seamlessly. 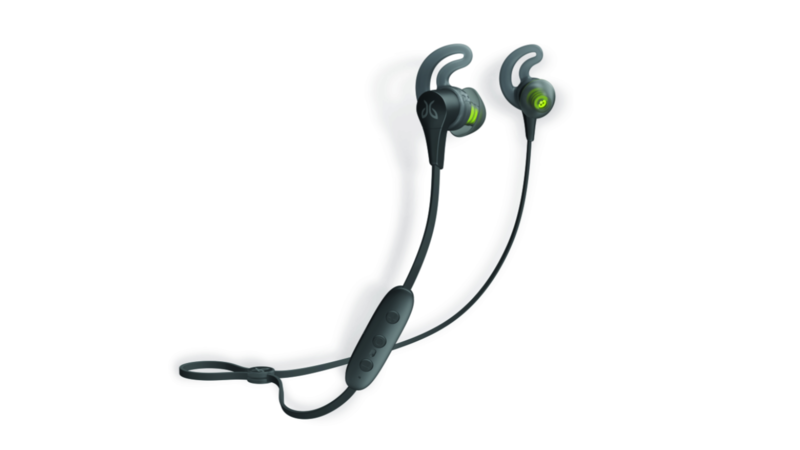 Established in 2006, Jaybird is a pioneer of sports Bluetooth® headphones for runners, outdoor athletes, and fitness enthusiasts - designed by athletes, built for adventure. By working closely with their team of professional athletes, Jaybird has established itself as the headphone brand for active people who love to power their passion with wireless music. With ultra-small wireless headphones, a secure comfort-fit, sweat-proofing and water-resistance, and incredible, customizable sound, Jaybird continues to evolve and define what it means to motivate people to get outdoors and push themselves with music.